Comments: John Henry Phillips, Jr., and his wife, Annie (Whitlock) Phillips, are shown at a gathering of the Phillips family in Cunningham, Fluvanna County, Virginia, in October 1924, for the funeral of John's father, John Henry Phillips, Sr. (1858-1924). John, Jr., was born on May 3, 1893, in Fluvanna County, VA, and his mother was Martha Edmonia (Bramham) Phillips (1860-1930). As he grew up, John, Jr., worked on the family farm near Antioch with his father and then came to Scottsville and became a store clerk. When World War I came, John joined the Army and was stationed at Camp Lee, Virginia, as a medical corpsman. 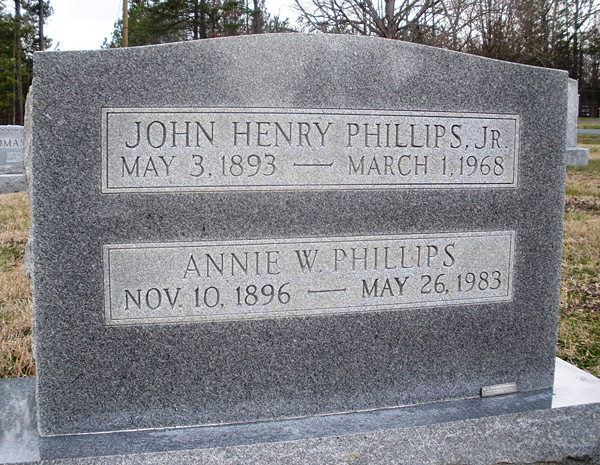 On 2 June 1921, John married Annie S. Whitlock of Tobaccoville, Powhatan County, VA, on June 2, 1921, in Washington, D.C.
John Phillips, Jr., became a rural mail carrier for the Scottsville Post Office in 1920. At first, "John Henry", as he was known by his friends, had to travel on dirt roads over his route. Sometimes he delivered mail on horseback and other times he used a two-wheel jumper and a buggy. When the roads were especially muddy, he would use two horses on alternating days. Later John drove a model T and then a Model A. In his last ten years of postal service, John had to trade for a new car each year. John served as a Scottsville P.O. rural mail carrier for 42 years and also received 42-safe-driving awards, one for each year he carried the mail. To recognize John for his dedicated service, a banquet honoring John and Annie Phillips was given by the Scottsville Post Office staff on January 3, 1962. Postmaster Ed Gildersleeve presented John Henry Phillips, Jr., with a set of gold cuff links from the staff. 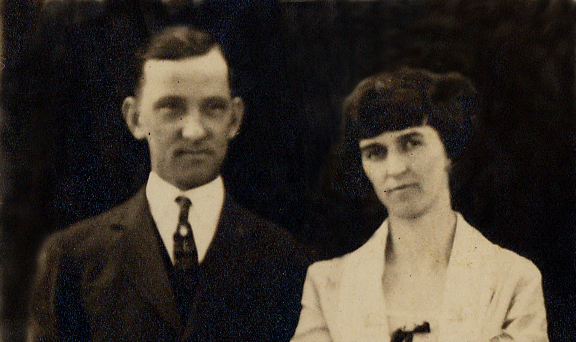 John Henry Phillips, Jr., married Annie Whitlock (1896-1983), the daughter of Armstead Linwood Whitlock and Annie (Scott) Whitlock. Mrs. Phillips taught for 40 years in Scottsville schools, retiring in June 1941. The Phillips were members of the Scottsville Baptist Church where John served as a deacon. John also belonged to the American Legion, the National Rural Letter Carriers Association, and the Scottsville Lions Club. John passed away on March 1, 1968 at his Scottsville home, and he is buried nearby his parents in the Antioch Baptist Church Cemetery in Fluvanna County, VA. John's wife, Annie, passed away on May 26, 1983, and is buried beside her husband at Antioch Baptist Church Cemetery.